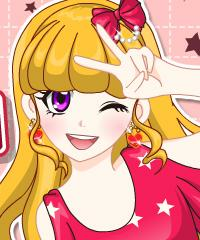 Dress Up Game in an anime style. Dress this cute girl up in a stylish way. She is taking a selfie postcard picture for her friends. She is on a holiday in Italy. Be her stylist and prepare her for a night out in a Milano. She has been looking forward to this moment for a long time so she will need a perfect makeover and a trendy hairstyle.